Within a week we start a harvest time of our gigs!!! After some long time we will play at our neighbours, in Slovakia. Company of our friends, ČAD and ACID FORCE guarantee really hell shows and we are looking forward to do those shows!!! 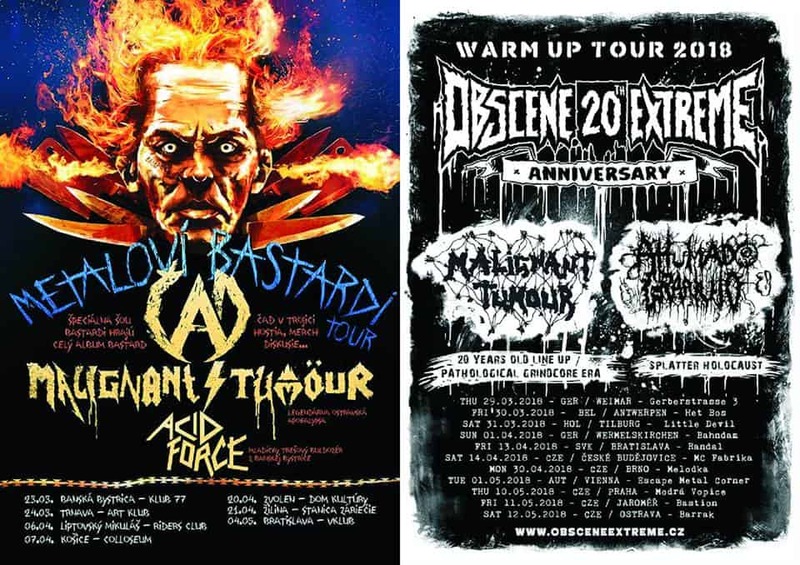 The others planned shows under the mighty OBSCENE EXTREME WARM UP SHOW 2018, will be very special, with MALIGNANT TUMOUR 20 years old line up and our old songs in grindcore style!!! And we are happy that our tour partners are lomg time frinds and great band AHUMADO GRANUJO!!! So, if you like our old style or you vere saw it live 20 + years ago, you have a chance now!! !